If you follow me on Snapchat, you know that I’ve been a little obsessed with hash browns recently. I might go as far as to say that hash browns are my absolute favorite way to eat potatoes. 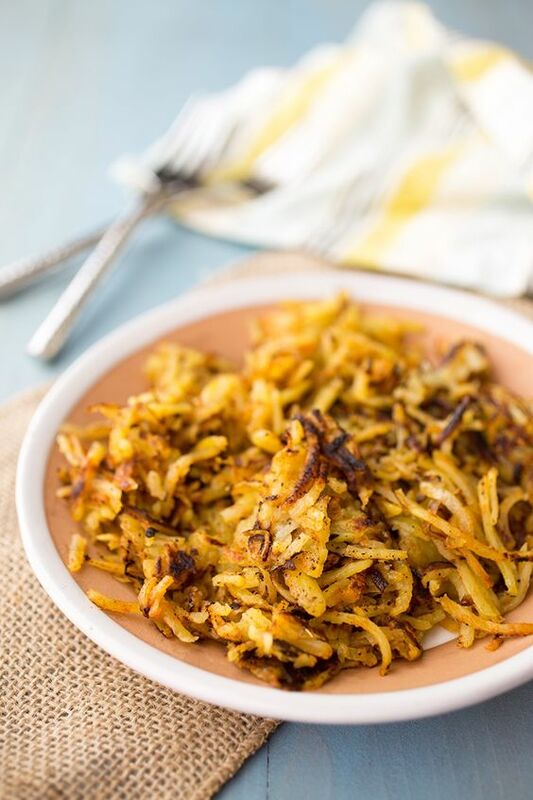 I am definitely a fan of crispy potatoes and hash browns are one of the best ways to ensure the potatoes get extra crispy as opposed to home fries for example, which use a much thicker cut potato. The absolute easiest way to make hash browns is to use a food processor that comes with a shredding attachment. This is the one I use. You can also use a grater, but the food processor will save you a whole lot of time. 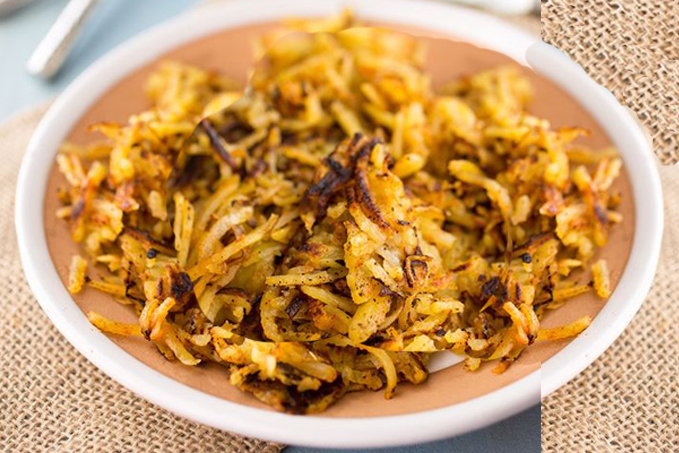 Another trick for making these the absolute best hash browns is to use a cast iron skillet. Other pans will do, but cast iron will give the potatoes the absolute best crunch. My cast iron skillet is what I use to cook 85% of the time, in fact I use it so frequently that it stays on top of my stove at all times! Lodge makes cast iron skillets for less than $30, a pretty sweet deal if you ask me, especially for something that can last decades if you take care of it. Don’t have bacon fat? 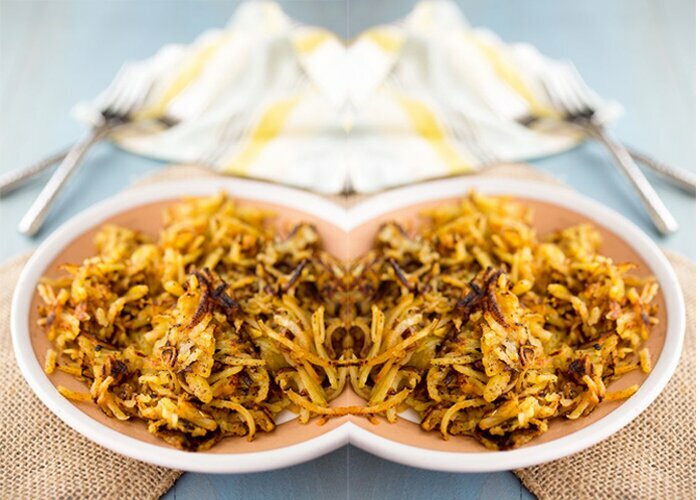 Butter, ghee or avocado oil would also be great choices for this recipe. I always have extra bacon fat on hand as I make sure to save it every time I make bacon! After all of the potatoes are shredded, place them into a clean rag or nut milk bag and squeeze the water out. You don't have to go crazy with this, but squeeze as much liquid as you can out of the shredded potatoes. If you have sturdy enough paper towels, you may also be able to use these. Heat a cast iron skillet over medium high heat and then add about 1 tablespoon bacon fat to the pan. Allow to heat for about 60 seconds before turning down to medium adding shredded potatoes in batches so that each batch can be flattened in the pan, almost like potato pancakes. Flip after about 5-6 minutes or when bottom layer is browned but not burnt. This amount of potatoes normally takes me 3-4 batches to cook, so I add about 1-2 teaspoons of seasoning to each batch on either side while I'm cooking. Repeat for the other batches and serve hot! Yum! These crisped up so nicely in my cast iron skillet, and I loved the flavor from the bacon fat. I may add some crumbled bacon next time.